UK style pub and chip shop made famous for their willingness to fry anything you bring them. Located in Cobble Hill. 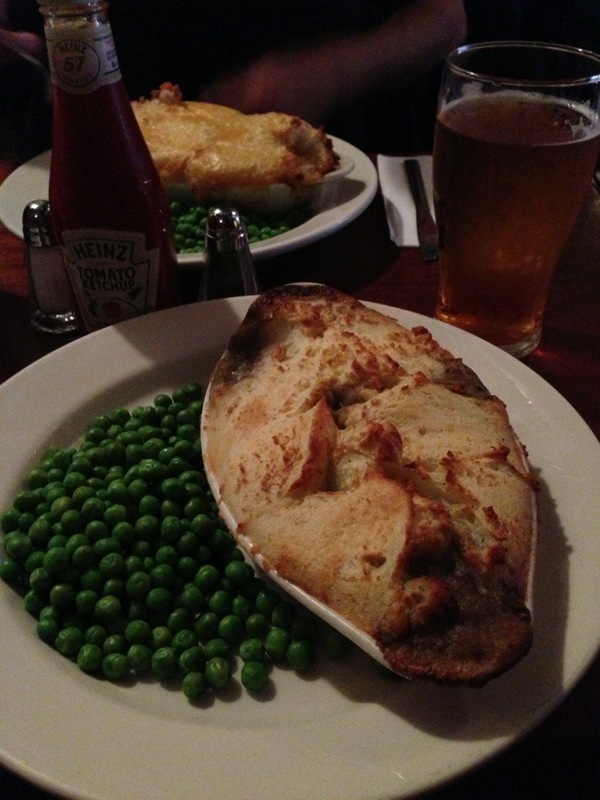 I had the Wild Mushroom Shepherds Pie – Choc full of mushrooms, not too heavy on internal sauce, really creamy mashed potatoes on top, perfectly al dente peas on the side. I’ve been dreaming about this pie ever since first tasting it, and have come back to get it since; it’s that good. Comfort & joy & mushrooms in one. My DH had the Beef Shepherds Pie – Much like the other pie, this one was dead simple as well and equally as good. 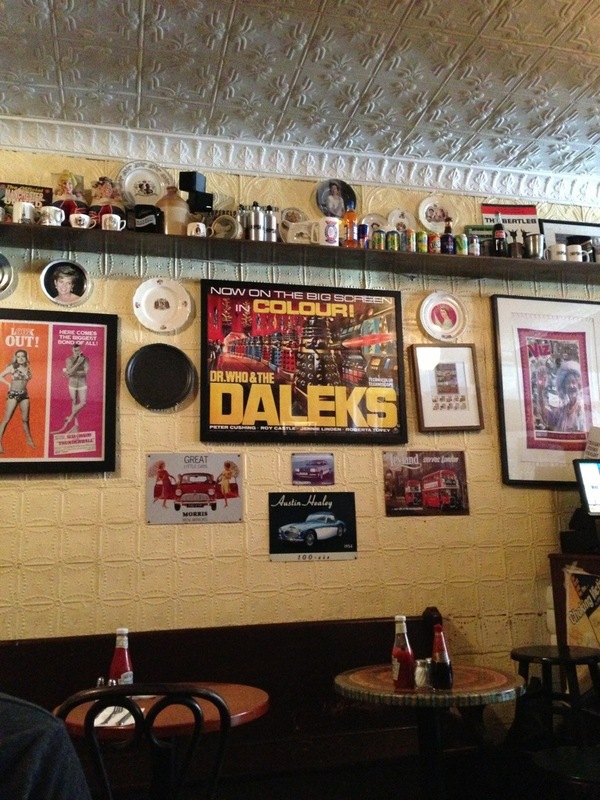 Riotous jumble of Brit-centric decor featuring movie posters, the ubiquitous Union Jack, daleks, and other Brit ephemera. Varied ‘UK’s Greatest Hits’ menu over the speakers & football on the tube over the bar. I forsee this place becoming a regular haunt.